Although I really like to fix things, my favourite tool is not a saw, nor a wrench, nor a hammer. My favourite tool is a banjo. As the Hicks part of Hicks & Dawe, most often you will me playing in venues and bars around Ontario, sometimes as part of other groups, and sometimes solo or in a duo with one of my friends. You may also find me busking around Toronto in clement weather. Stop and listen, and buy a CD(!). 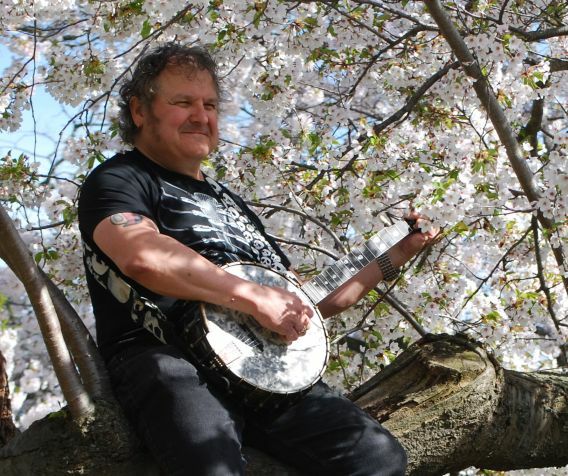 I also do studio work – many varied genres including rock n’ roll, reggae, punk, and others well outside where you might expect to find a banjo. If you’re looking for something unique to add to your sound, I may have it somewhere in my gig bag. Check out some of my posts about my music and an overview of the band.